After a couple of months of intensive planning and faffing it was time to get a freaking move on. A couple of days before the off I met Olga in the city, my travelling companion for the journey to and through Myanmar and Laos whom I met via www.crazyguyonabike.com. 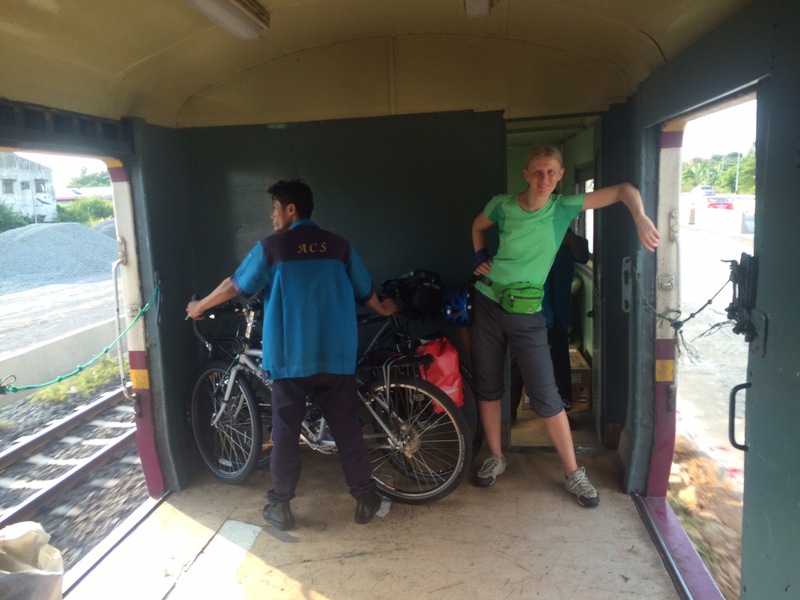 Like me, she has never done cycle touring and so we can make all manner of mistakes and celebrate all kinds of small victories without judgement and with equal glee. My launch pad was the amazing Granny’s Bike Shed that was an unexpected and most welcome accommodation safety blanket and stabilisers to get me going. 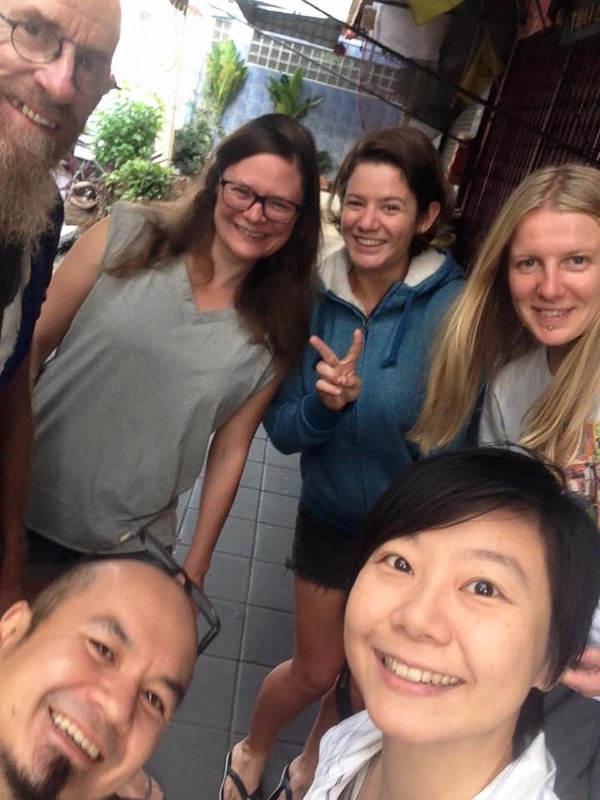 Granny’s is a wonderful hostel only for cyclists in Bangkok where me and Olga had the good fortune to meet the lovely Tori and Peter, two other tourers who had accomplished ten and eighteen months on the road respectively. They patiently fielded MANY questions about everything with good grace and enthusiasm for our maiden tour. 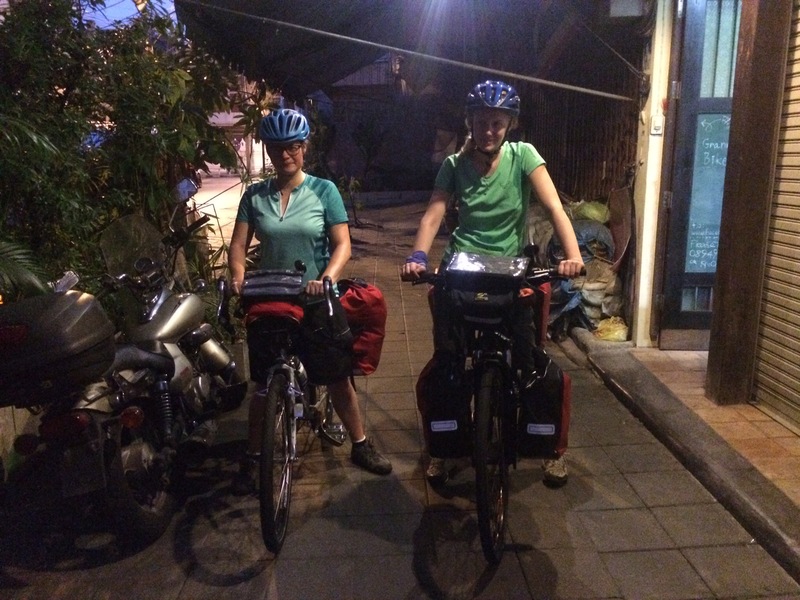 We were also blessed with the hosts Parm and Neemo to help with all things Thailand, including routes. But I was itching to get started and put it all into reality, so at 6am on Thurs 3rd Dec we headed off for the 7am train out of Bangkok to Rangsit about 20km out of the hecticness of Bangkok traffic. All shiny and new and raring to go! !